Use these water-soluble graphite pencils to create beautifully smooth shading and wash effects in your sketches. They can even be blended with watercolors and markers to create unique mixed media effects! Once the wetted graphite dries, it becomes resistant to erasing. 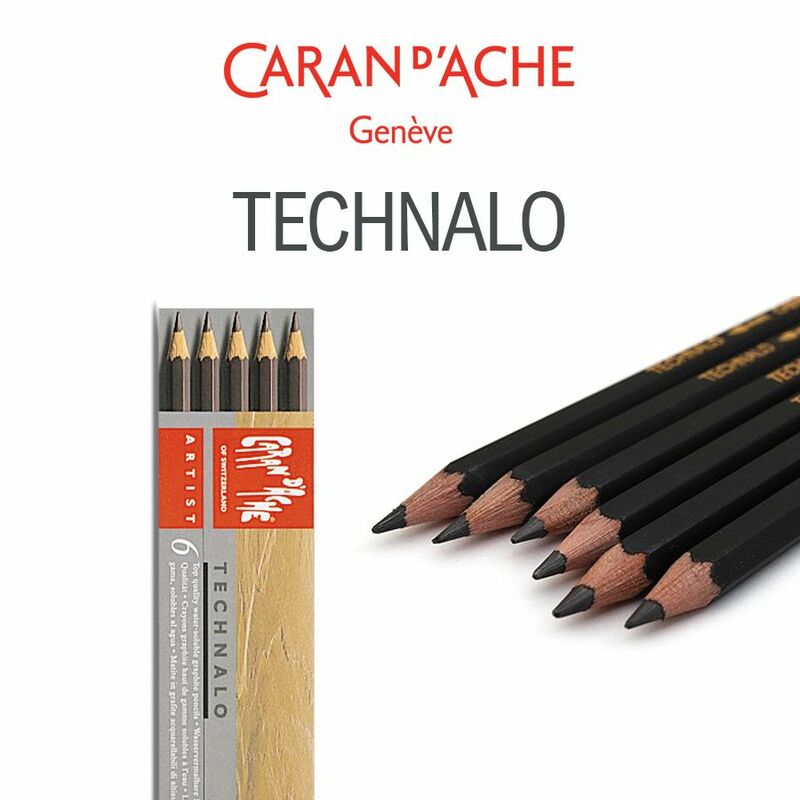 The Technalo water soluble pencil set contains 6 pencils,2 x HB, 2 x B and 2 x 3B Use these water-soluble graphite pencils to create beautifully smooth shading and wash effects in your sketches. They can even be blended with watercolors and markers to create unique mixed media effects! Once the wet graphite dries, it becomes resistant to erasing. Three available lead grades (HB, B, and 3B), letting you explore the nuances of graphite. Hexagonal shape for good grip. Premium FSC certified cedar wood casing. 3 mm diameter lead core. Great for techniques involving hatching, superimposing, painting sketches, and wash drawings. This 6-pack includes 2 pencils of each grade: HB, B, and 3B.